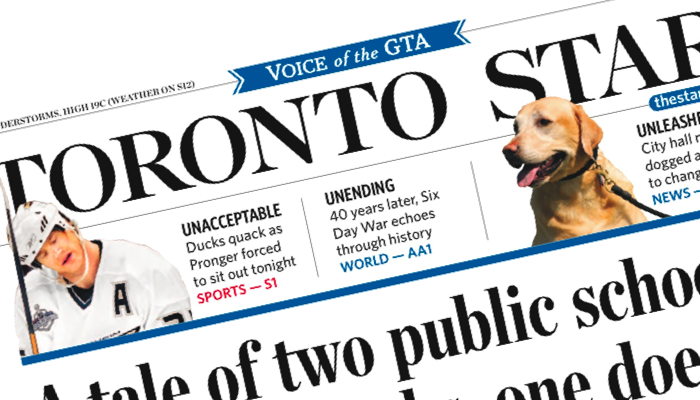 Anyone in Ontario can enjoy this promotion, for the low price (and limited time only) you can get the Toronto Star delivered to your door daily for only $0.98 a week. This results in an amazingly cheap paper, i think you still have to pay GST but that’s about it. You have over 5 months if you sign up to this promotion today, the normal price for the subscription is $6.89 a week so you are getting quite the bargain. If you don’t want to end up paying the full price after 5 months then you do need to cancel the subscription within the first 5 months of subscription. but that seems to be it.